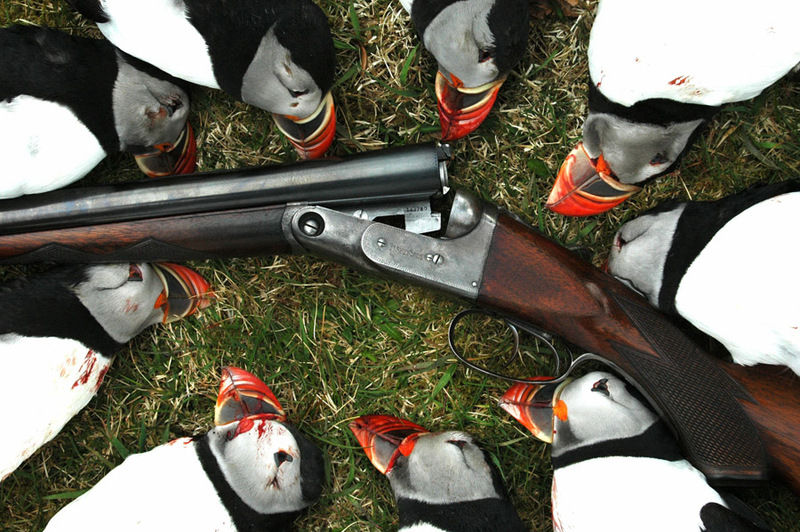 Iceland is the only country in the world, where you can hunt Puffins. There are 3 Puffin species in the world: The Tufted and Horned Puffins of the Pacific Ocean and our Atlantic Puffin. The Atlantic Puffin belongs to the Guillemot bird family. Other species of this bird family, that can be hunted along with the Puffins are: Razorbill, Black Guillemot and Common Guillemot. 5 days trip with 2 hunting days and 1 free day. We go out on the sea from the Reykjavik port in 35-40 foot boats with all modern equipment, a warm cabin and a toilet. A day’s bag for 2 hunters can be anywhere between 50-100 birds. We usually also do some sea angling and the catch is mostly Cod, Pollock and Haddock up to 30 pounds in weight. Hunting season is from September 1st until April 25th. 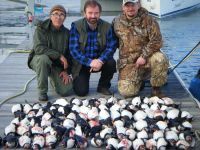 All species except the Puffins can be hunted during all this season. The active season for Puffins is only from April 15th until April 25th. In April we have almost 20 hours of daylight. Upon booking we supply a detailed packing list. We operate these hunts out of Reykjavik. We offer first class hotels only. The clients can indulge in the cuisine of our fine Reykjavik restaurants during their stay. Acommodation is included, but food is only included on the boat, during the hunt.